Every year, nearly 8 million tourists visit the Hawaiian islands to lounge on sandy beaches, frolic among the waves, and of course, enjoy some of the most dazzling views of whales and other wildlife found anywhere on the planet. But if one state lawmaker has her way, laws designed to preserve marine species would become a thing of the past. In a public meeting at the University of Hawaii last week, Big Island Senator Malama Solomon spoke out against keeping humpback whales on the endangered species list. Evidently, the state Senator believes that protections currently in place by the National Oceanic and Atmospheric Administration favor the animals too much. According to Solomon, if the whales that congregate off Hawaiian coasts are injured or killed by human activity, it's partially their fault for getting in the way. "You know this poses a problem, poses a threat," she said. "We are an oceangoing state. We enjoy our marine waters. And right now, the way NOAA is set up you hit a whale, you are to blame. The whale is blameless. OK, I have a problem with that." But Solomon didn't stop there. She says that another endangered species, green sea turtles, should have protections withdrawn as well. "Now, I know it kind of plucks some people's heart strings, 'No don't delist them!'" the lawmaker mocked. "Well you know what, it is costing you money, costing the taxpayer money -- dollars we could use in other areas." Likely since long before Hawaii was first inhabited by human settlers, the waters there have served as a crucial breeding ground for both humpback whales and green sea turtles. In the 1970s, after decades of being hunted to dangerously low levels, both species were granted legal protections and have since seen their numbers rebound, but it is unclear if they have returned to historic levels. 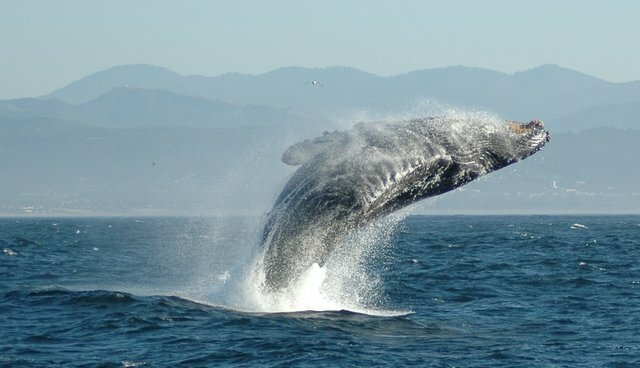 The NOAA is currently reviewing the statuses of humpbacks and green sea turtles.